Stress Relief – Playing an instrument can help refocus bad energy into something positive and enjoyable, which in turn can help alleviate stress. Reduced stress levels lead to slowing down your heart rate and lowering your blood pressure. Research shows that playing and composing music can reduce stress by lowering cortisol levels. Improves respiratory system – Whether you’re singing show tunes or blowing into a saxophone or oboe, one of the most important things you can learn is how to breathe properly. Producing a good sound on any wind instrument is dependent on your breath, making breathing with the proper technique a must. So while you are in the pursuit of becoming a great singer or woodwind player you are actually also improving your respiratory system. Exercise – Playing an instrument can be a great form of physical activity. Playing the piano, guitar or drums takes a lot of upper body strength and playing for extended periods of time can help build muscle while also improving your posture and increasing your stamina. Improves Cognitive Performance – It has been shown that playing and listening to music can help improve memory in people suffering from Alzheimer’s disease. Playing music has even been shown to help people recover from strokes as well as slow down the onset of dementia and Alzheimers. Improved Immune System -Research between Tenovus Cancer Care and the Royal College of Music has found that singing for an hour can increase levels of immune proteins, reduce stress and improve people’s mood. Studies have also shown that making music enhances the immunological response, which enables us to fight viruses. 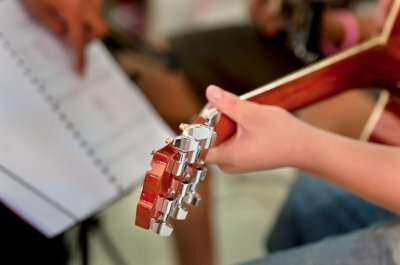 Looking for music lessons? Here’s what to ask me.